Savanna came to me with an unfinished forearm tattoo by the awesome biomech tattooer Jason Vogt which, due to life curcumstances was doubtful to ever be finished by Jason, so I took on the full sleeve expansion request with the mindset of a collaborative tattoo between he and I, trying to blend into and enhance what he had started in a complimentary fashion. 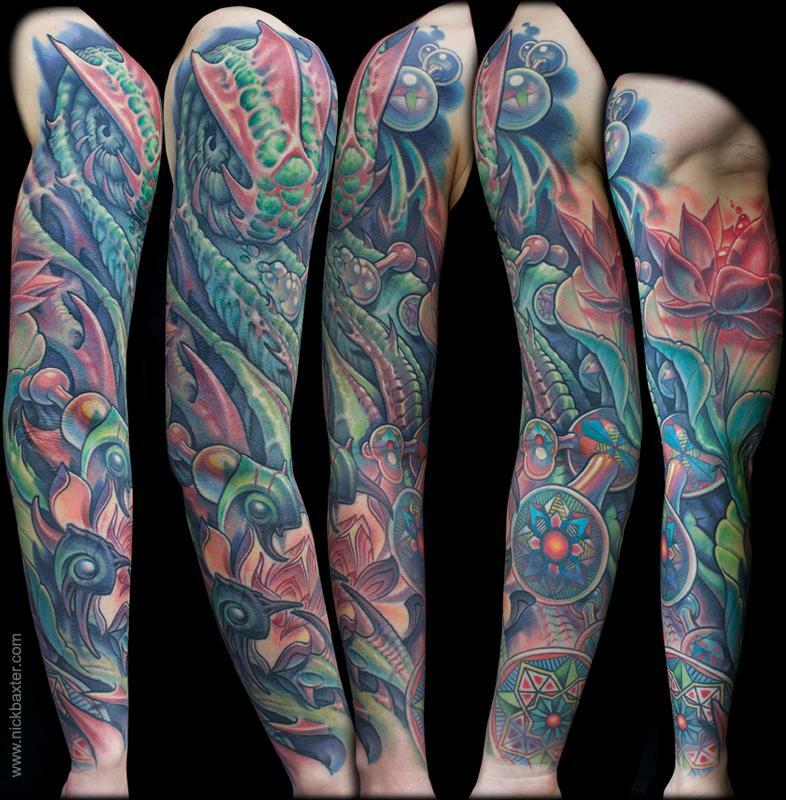 To make things even more complicated, there was also a small color mandala tattoo on her forearm by tattooer David Guy, which needed to be incorporated. These factors inspired my idea of psychedelic molecules containing mandalas in various stages of unfolding complexity...thus, the Mandalacule was born. This project, althoug challenging at first, was tons of fun, and we are both pleased with the result! And hopefully the other tattooers are as well!